Are USB microphones any good? 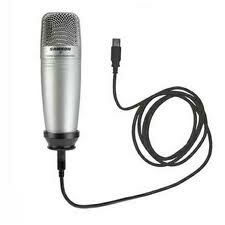 A USB microphone can be convenient and inexpensive but I would not recommend them for professional studio work. See, USB microphones are only using only 5v computer USB power as opposed to 48v phantom power that a condenser microphone uses. This means more noise. You may not notice it, but the engineer receiving your voice on the other end probably will. Also depending on your computer this power itself could be noisy and introduce line noise into the signal flow. Plus in traditional Phantom Powered condenser microphones, you are plugged into a pre-amp. With a USB mic you cannot use a pre-amp, the pre-amp is built into it. So you lose some warmth and control of your sound. You also cannot use it in a traditional analog mixer. Do not get me wrong, USB mics can sound decent but I would only use them for demo work, Pod casts and similar projects like that. Use a tradition condenser mic for vocal song recording. Submit music on either of these award winning sites.